I just love Vegfest. 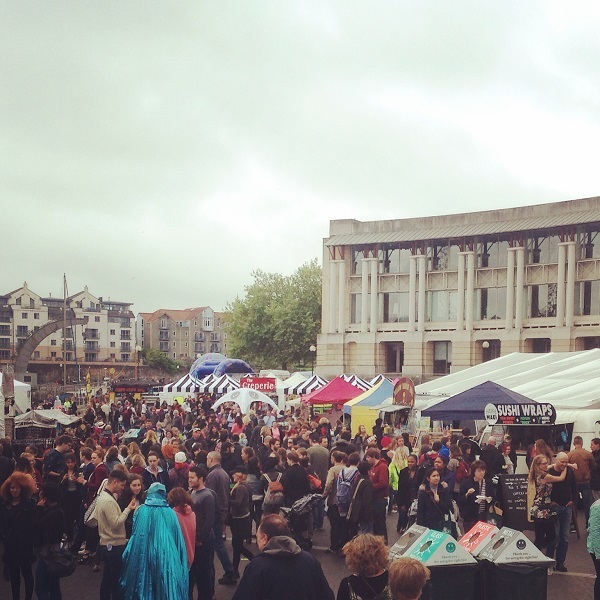 We went a couple of years ago and then went to Grillstock not long afterwards in the same location and for me, Vegfest was by far the best event. Vegfest has a really great vibe and is full of people passionate about what they do and helping others to live a cruelty free life. 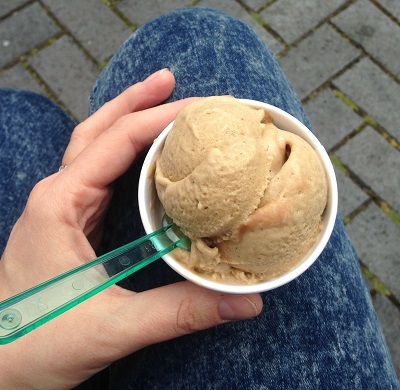 For those of us with food intolerances, it's a great place to discover new brands and products. I love the idea that there is a whole event in which no meat is cooked or consumed. Grillstock in comparison seemed haunted by the ghosts of hundreds of pigs, lambs and cows. I stopped enjoying the smell of cooked meat that day. Vegfest was packed this year, the event itself didn't feel a lot bigger but there were much bigger crowds and it was harder to see the stalls. We went right through the site and took everything in and then I tried to decide on something for lunch. I actually felt that the gluten free takeaway food options were limited this time around. The buzz word this year is clearly vegan and there was little to eat that was properly gluten free. I was told about a pizza place, but I failed to find it, so I settled for a thali. 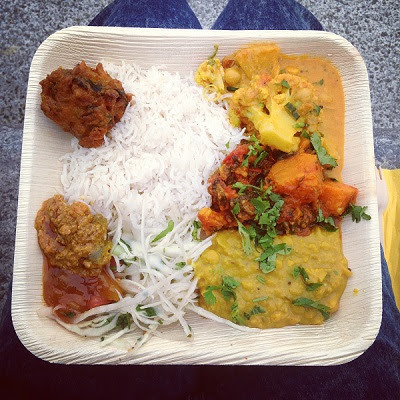 This platter came from The Yellow Turban Thali and it was really delicious. I loved that each element was distinctly flavoured, something that I would struggle with at home. 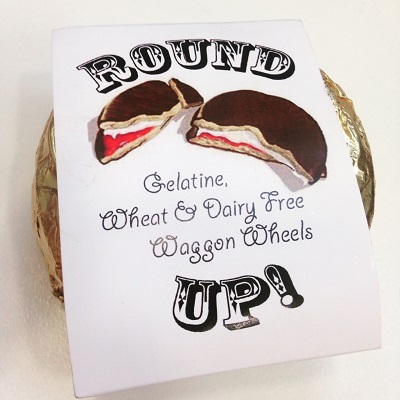 We had another little wander around and I found gluten free, dairy free and egg free wagon wheels - totally amazing. It has been a long 13 years without wagon wheels and it was worth the wait. Actually I'm pretty sure these were better than the real thing. Not sickly or sweet, really great texture and a nice, healthy portion size with a big gloop of jam in the middle. I'll be buying these again. It was also great to see local businesses such as Rawsome and The Spotless Leopard (unbelievably popular - their gluten free, vegan Macaroni Cheese sells out in moments!) and we loved the bamboo products from Bristolians Mabboo. Finally, you can't forget the message that everyone hopes to promote through events like this. We are making a huge impact on the planet through the food that we eat. 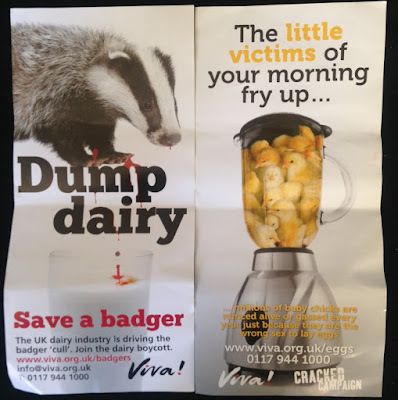 It's important to be clued up about where our food comes from and it's amazing what you find out about the food industry when you start to scratch the surface.